My dearest friend (and fellow Style Approximately blogger), Adrienne, recently celebrated her 30th birthday. 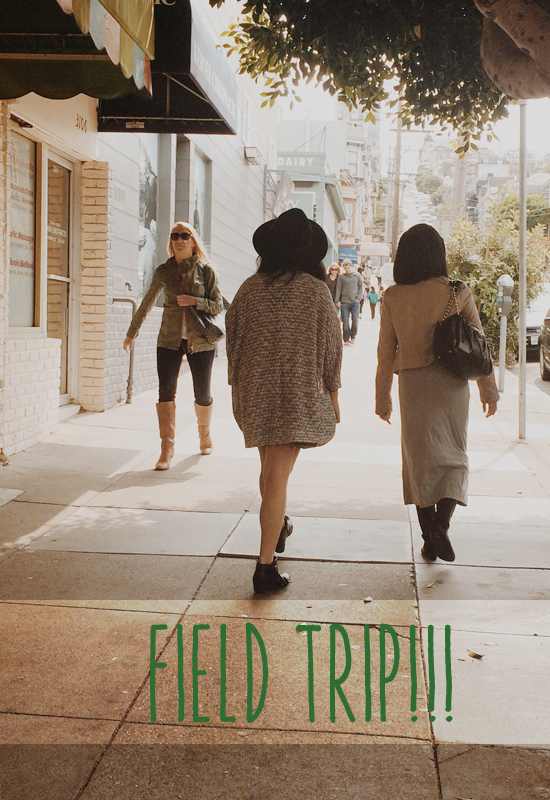 We spent the day in SF doing what we do best – eating and shopping. Our first stop on the birthday train was all you can eat brunch at Chubby Noodle in the Marina District. The food was a more modernized take on Chinese dim sum. When I say modernized, I mean that it was in the same style as traditional dim sum with a few extra elevated ingredients. The breakfast jook was amazing – a hot rice porridge with a fresh egg and smoked bacon. The colors on it alone were beautiful. Our server was also nice enough to bring us an array of food instead of us ordering in honor of the birthday girl. At $37.00 per person, I’d consider it a steal especially when 4 adult beverages are included in the price. After brunch, we took a much needed long walk around the Marina to settle our tummies and sober up. We then hopped in the car and headed over to the Fillmore for some ice cream because why wouldn’t you want to end your day with ice cream? Smitten Ice Cream is one of the coolest (pun intended?) ice cream concepts I’ve come across. Using liquid nitrogen, ice cream is made to order. It’s completely fresh and delicious. Check out the photos of our field trip after the jump!